There’s no better way to prepare for the CSET than with a tutor from Grade Potential. Passionate and knowledgeable, Grade Potential tutors are as committed to your academic goals as you are. We work with you to understand what to expect on the CSET, so you’re confident to do the best you can. 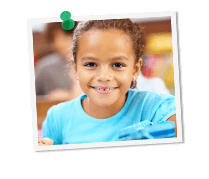 Grade Potential provides personalized, one-on-one CSET tutoring that takes the unique personality and learning style of each student into account. Rather than a one-size-fits-all approach to tutoring, we utilize a highly customizable, individualized method of instruction. Grade Potential offers some of the best tutors available. Highly competent and knowledgeable about the CSET, our tutors walk you through the subject areas of the CSET and give you the confidence to perform well. What’s more, they do this in a way that is uniquely suited to you and your learning style—so you’re empowered to achieve the best results you can.